Hungary is famous for many things: its breath-taking landscapes, cultural heritage, unique cuisine, and, very notably, for the abundance of high quality and exquisite wines it produces. The history of Hungarian wines spans back to ancient times, and winemaking has been prosperous ever since. According to several accounts, the production of wine and cultivation of vines have been brought to Pannonia, the ancient equivalent of modern Hungary, by the Romans, with such excellence that over a few centuries, Pannonia had an extensive amount of vineyards. By the middle ages, the location was considered an exceptional example of wine culture, even though on some occasions the footprints of historic battles and clashes bore serious and damaging consequences. Perhaps the most famous and iconic group of Hungarian wines, also one of the country’s 22 wine regions, Tokaj(i) dates as far back as the 13th century, and the region was declared protected in the 1800s. All different 22 wine regions have separate characteristics and aptitudes which determine the types and varieties of grapes that can be cultivated in the location. The 22 regions are usually assigned to seven larger territories, which are, respectively the Balaton, Duna (Danube), Eger, Észak-Dunántúl (North-Transdanubia), Pannon, Sopron and Tokaj areas. Several grape varieties had been originated in Hungary, namely Hárslevelű, Irsai Olivér, Ezerjó and Cserszegi Fűszeres, among others. The quality and mastery of Hungarian wines make them famous and acclaimed all over the globe, providing an equally recognised and flourishing wine tourism, which is just as important as production and consumption are. Wine tours usually consist of a visit to the region appointed, tours within the local cellars and of course a tasting of the designated wine brands. 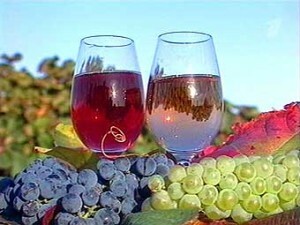 Several tours may take days or even a complete week, which ensures that the participants gain a formidable knowledge and a lot of interesting information about the region as a whole, the types of vines cultivated, the process that is involved with a production of a certain wine from start to end (from planting to consumption), even local customs and more. A wine tour not only provides an in-depth insight to the production and history, but also helps the attendants to immerse in the culture and ambience of the location. The high standards and proficiency of Hungarian wines is also demonstrated by the accolades and prizes won – the best ones usually perform excellently in international wine competitions and exhibitions.